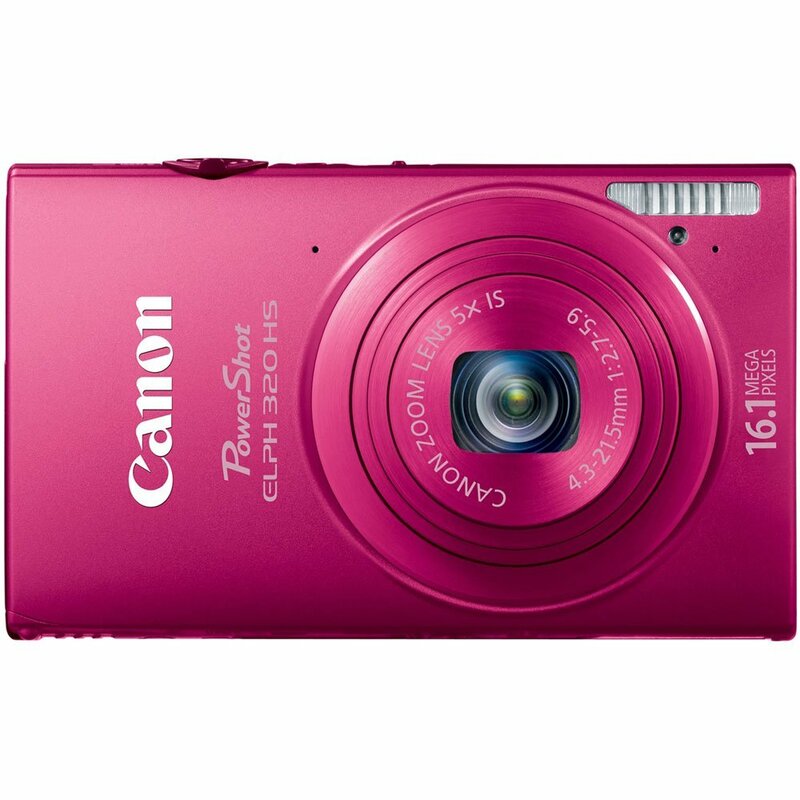 Superb image quality, modern convenience and plenty of fun pack the elegantly designed Canon PowerShot ELPH 320 HS 16.1 MP Digital Camera. Built-in Wi-Fi lets you share images and beautiful 1080p Full HD videos anywhere, while the 3.2-inch wide PureColor System LCD responds to your touch for an interactive shooting experience. The 16.1 Megapixel High-Sensitivity CMOS Sensor and DIGIC 5 Image Processor create Canon’s HS SYSTEM, letting you capture exceptional images even in low light. See how expressive your simple shots become with the 24mm Wide-Angle lens with 5x Optical Zoom. Great image quality is easy with improved Smart AUTO that optimizes camera settings for 58 predefined shooting situations, and Intelligent IS that ensures clear, stable images under any shooting conditions. Select PowerShot models feature built in Wi-Fi wireless technology making captured images and HD videos available easily for effortless sharing to friends and family. Compatible with Wi-Fi (802.11 b/g/n wireless standard), these cameras can connect with compatible home networks or to wireless access points. You can easily share your images and videos by signing up on CANON iMAGE GATEWAY –an online service that lets you store images to an online album, and share your images on Facebook, Twitter, and YouTube. Upload images virtually anywhere, via your iPhone®, iPad®, or iPod touch® mobile devices by installing the free Canon CameraWindow app (The Android app is under development ). This app makes it easy to select and save images stored on your iOS devices and upload them to social networking sites, or email. Even without a mobile device, it is possible to send images to a PC, or even transfer images between Wi-FI enabled PowerShot cameras. 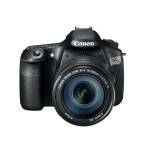 * CANON iMAGE GATEWAY Online Photo Album available starting February 14, 2012. One time registration is required. † iOS app will be available in March 2012 and the Android app will be available in May 2012. ‡ Compatible with iOS 4.3 or later. The Canon HS SYSTEM lets you take bright, clear photos in an even wider range of shooting situations. Beautiful low-light shots are possible with minimal noise and maximum detail in highlight and shadow areas. The system is the result of two technologies brought together in PowerShot cameras: a high-sensitivity imaging sensor, which is able to capture more light; and the DIGIC 5 Image Processor, which actively reduces noise with high-speed image processing. 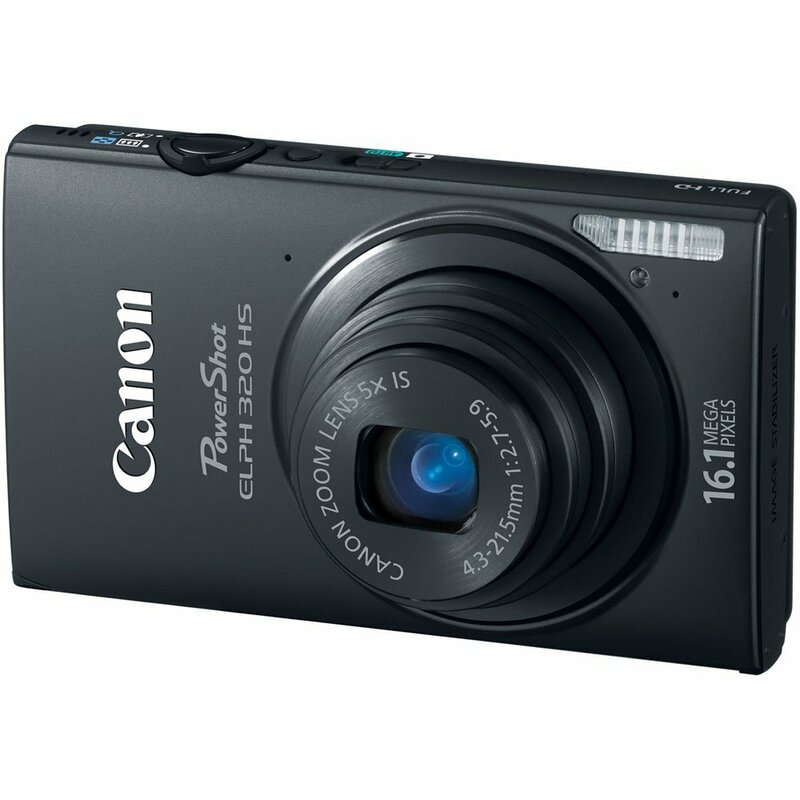 The 12.1 Megapixel Canon CMOS sensor in the PowerShot SX260 HS incorporates advanced light reception technology that enhances sensitivity. The DIGIC 5 Image Processor provides a major boost in noise reduction, expanding the usable ISO range to an amazing high of ISO 3200. The Canon HS SYSTEM thus lets you use higher shutter speeds to capture clearer images with reduced noise and blur. 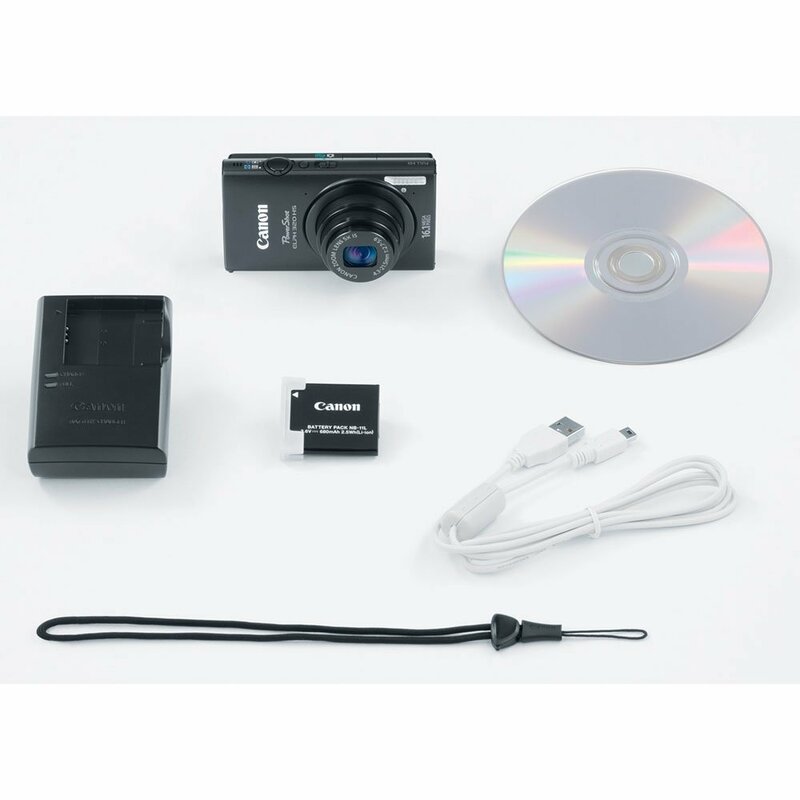 In addition to the Canon HS SYSTEM, the combination of the advanced CMOS sensor and DIGIC 5 Image Processor in the Canon PowerShot ELPH 320 HS 16.1 MP Digital Camera makes it possible to shoot crisp, clear high definition video. Imagine the fun and excitement of being able to shoot spectacular 1080p Full HD video with stereo sound that you can later watch on your HDTV or download to your computer to share with family and friends. In addition to being able to shoot Full HD 1080p video at 24* frames per second, the PowerShot ELPH 320 HS can also shoot 720p HD video at 30** frames per second. 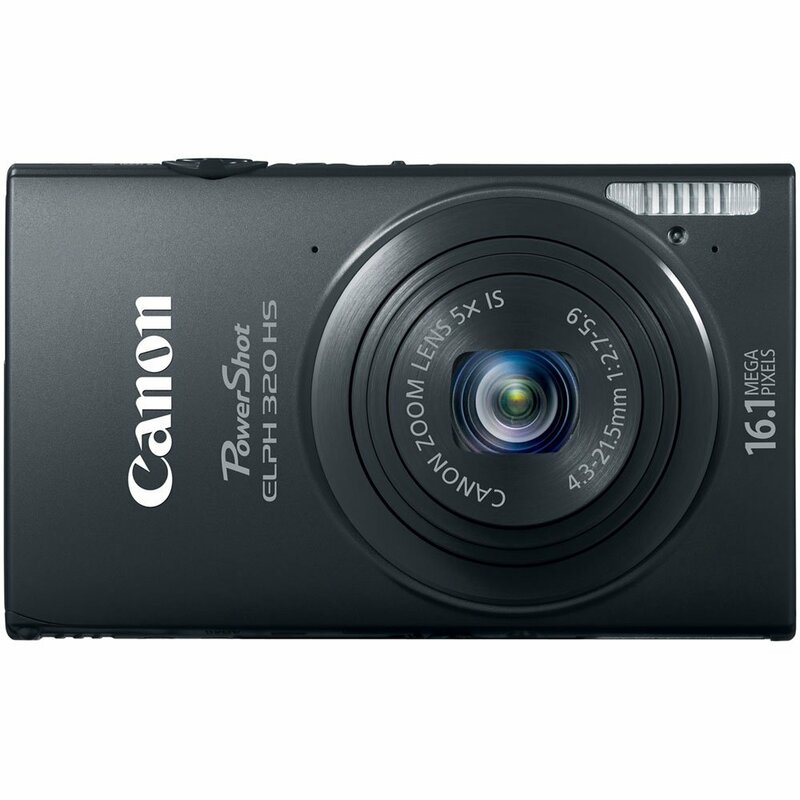 Itâ€™s never been easier to shoot videos with a PowerShot digital camera. 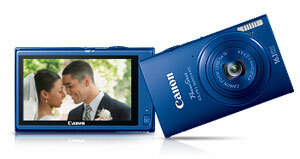 The PowerShot ELPH 320 HS has a dedicated movie button that lets you start and stop recording instantly. There is no need to go through layers of menus or operate switches or dials to switch to and from video recording mode. The camera is always ready to shoot stills or video whenever you want. The PowerShot ELPH 320 HS also incorporates an electronic wind filter, which suppresses wind noise that can muffle or distort the sound. And unlike less sophisticated point and shoot cameras, the PowerShot ELPH 320 HS lets you use the full range of optical zoom when you’re shooting a video. With the Canon PowerShot ELPH 320 HS 16.1 MP Digital Camera, you can also shoot video in the Apple® iFrame format, which is a computer friendly standard that speeds up importing and editing of videos. It keeps file sizes small, making it more convenient to upload or e mail high quality videos. The iFrame format enjoys native support in compatible Mac and Windows video applications, making it unnecessary to perform timeÂ­consuming and often quality degrading conversions. At 0.82 inches, the PowerShot ELPH 320 HS is an incredibly slim camera with a 24mm Wide Angle lens, 5x Optical Zoom, and Optical Image Stabilizer. Its stylish form is enhanced by its lustrous finish, which gives you a choice of four refined colors: Blue, Red, Silver and Black. 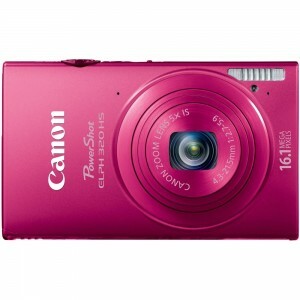 But real beauty goes beyond skin deep with the PowerShot ELPH 320 HS digital camera. Amazingly, Canon did not sacrifice performance for style. The PowerShot ELPH 320 HS features a powerful Genuine Canon 5x Zoom Lens that delivers outstanding optical performance and versatility. Fitting such a high performance lens with such wide zoom range into a camera so thin would normally be considered an impossible feat. Canon’s expert optical engineering met the challenge by developing a light folding retractable prism lens barrel, which achieves outstanding compactness with high zoom power and superb performance. The zoom starts at 24mm wide angle and extends to 120mm telephoto (35mm equivalent), covering an exceptionally wide range. The telephoto reach gives you the freedom to capture subjects from a considerable distance, while the 24mm wide-angle makes it easy to shoot sweeping landscapes, large groups of people and tall buildings. Handheld shooting can often lead to camera shake, making photos and videos blurry. Canon’s Optical Image Stabilizer is a sophisticated system that uses lens shift technology to correct for unwanted camera movement. It makes handheld photography more practical, providing excellent image quality in many difficult shooting situations: outdoors at dusk, inside without a flash, and even at the telephoto end of the zoom range without a tripod. For photos, it enables shooting at slower shutter speeds, accommodating more low light shooting situations than ever before without having to boost ISO sensitivity. With camera shake and vibration reduced, you get a sharper, steadier image. And because it is an optical system, there is none of the image degradation typical with electronic image stabilizers. The Canon PowerShot ELPH 320 HS 16.1 MP Digital Camera‘s large and bright 3.2 inch PureColor LCD wide screen makes it easy to view and frame your shots in high resolution (461,000 dots). PureColor technology delivers excellent contrast with rich, true to life color. Many LCD screens on the market today use a striped arrangement of dots that works great for text and menus, but is not ideal for imagery. The PowerShot ELPH 320 HS’s PureColor System LCD uses a delta arrangement of dots, which works better for the organic nature of photos and videos, allowing you to review your images with exceptional clarity with rich, true to life color. Moreover, you can view the LCD screen over a surprisingly wide angle – above, below or to either side – without color shifts and with minimal reflections. A scratchproof hard coating and a dustÂ­repellent fluorine coating ensure a durable screen that dependably displays clear, vibrant images. The wide aspect ratio (16:9) provides ample room for information icons and touch buttons, preventing them from getting in the way of the image, and you can enjoy a brilliant full screen image when shooting or playing back your Full HD videos. 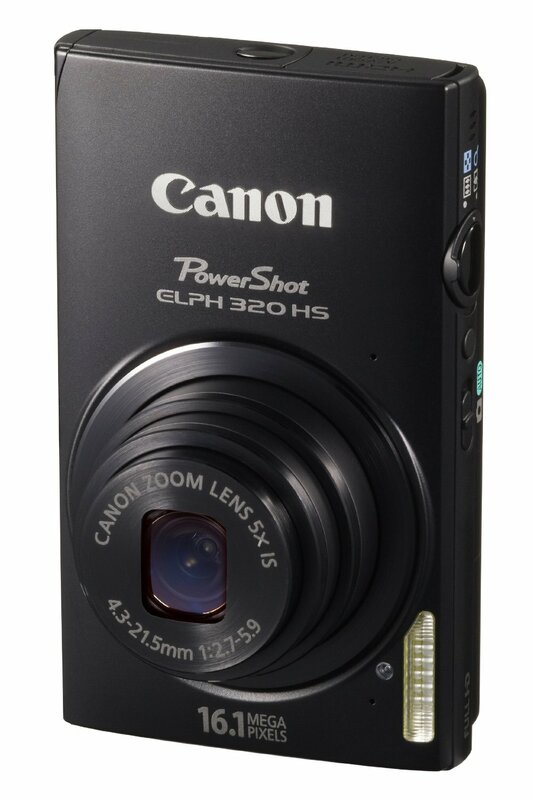 The PowerShot ELPH 320 HS features touch panel technology that makes using the camera more intuitive and fun. Simply touch the screen to choose and track an AF point, change camera settings, record and play videos and much, much more! It also has an innovative Touch Shutter function that allows you to release the shutter right from the screen. Just touch the desired subject with your finger. An AF box will appear and track the subject as it moves. Then just lift your finger to release the shutter. It’s that simple. Smart AUTO for the PowerShot ELPH 320 HS has been significantly expanded, making it easier than ever to capture the sharp, bright, colorful images – and videosyou’re looking for. By assessing various factors in both the background and the subject, the system recognizes 58 predefined shooting situations and automatically selects the camera settings that will yield the best possible results. Simply frame the shot you want, and in dozens of common or challenging scenarios the camera takes care of the rest. Hard to capture shots such as moving subjects, night scenes, backlit subjects, and landscapes at evening or on a bright snowy day are instantly and effortlessly captured as keeper shots. 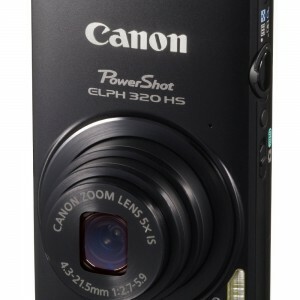 Smart AUTO makes the PowerShot ELPH 320 HS ideal for capturing excellent quality still images and video on the go. Records a video clip in 720p HD before capturing a still image and then combines one day’s worth of clips into a video. Removes dullness, wrinkles, and harsh shadows for beautiful faces. 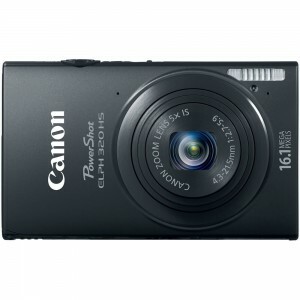 Captures rapid action frame by frame, by shooting continuously at a high speed while the shutter button is held down. Simulates photos taken with toy or pinhole cameras, darkening the image at the edges to create a vignette effect. Creates a hazy ambiance tha’s perfect for portraits and wedding photos. Face ID is one of the most advanced and exciting new features of the PowerShot ELPH 320 HS, giving you an easy way to improve every shot of the people you love. Simply take a picture of up to 12 faces you would like the camera to register, then enter names and ages. Once a person is registered, the camera will pick him or her out of a group (even against a busy background) and adjust focus and exposure to his or her face, even recognizing faces in profile. Face ID is particularly great for shots of babies and children. The system can pick your baby out of a group of children, focus on your baby when pictured with an adult, and capture her best smile by taking three successive images when the smile is detected. The flash is even disabled so as not to startle the baby and interrupt the moment. Older children in motion are tracked, with focus and exposure continually adjusted with Servo AF; with one shutter press three successive images are captured so the best shot is never missed. And because you’ll identify each face you register, Face ID makes it easy to search images by name. The camera’s silky smooth coating provides a luxurious feel and radiates a deep, subtle sheen. And the fact that PowerShot ELPH 320 HS is packed with serious specs and technological advancements doesn’t mean you’re limited to basic black: your color choice is as individual as the images you’ll create. Choose from black, silver, blue, and red. 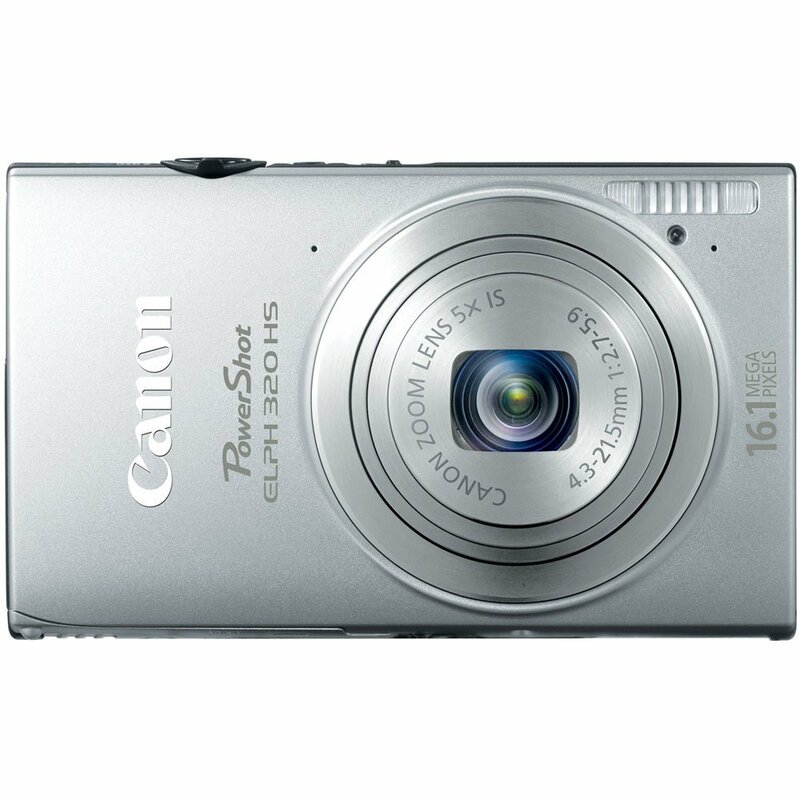 The Canon PowerShot ELPH 320 HS 16.1 MP Digital Camera, in silver, features built-in Wi-Fi that lets you wirelessly share images and beautiful 1080p Full HD videos anywhere, while the 3.2-inch wide PureColor System LCD responds to your touch for an interactive shooting experience. The 16.1 Megapixel High-Sensitivity CMOS Sensor and DIGIC 5 Image Processor create Canon’s HS SYSTEM, letting you capture exceptional images even in low light. See how expressive your simple shots become with the 24mm Wide-Angle lens with 5x Optical Zoom. Great image quality is easy with improved Smart AUTO that optimizes camera settings for 58 predefined shooting situations, and Intelligent IS that ensures clear, stable images under any shooting conditions. 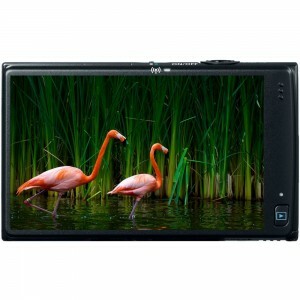 Superb image quality, modern convenience and plenty of fun pack the elegantly designed ELPH 320 HS.